Local media's spin on FT policy - memories of past propaganda campaigns. Andrew Loh. Remember that time in the 70s and 80s when our mainstream media, playing lapdog to the government, exhorted all Singaporeans to not have too many babies, that “Two Is Enough”? It is testament to the effectiveness of the campaign that Singaporeans can still remember the details of that policy – some 40 years on. This time, however, instead of babies, our mainstream media is playing lapdog to a new social engineering effort by the government in allowing the flood of foreigners onto our shores. At the last count, there are 1.68 million foreign nationals here in our tiny island. 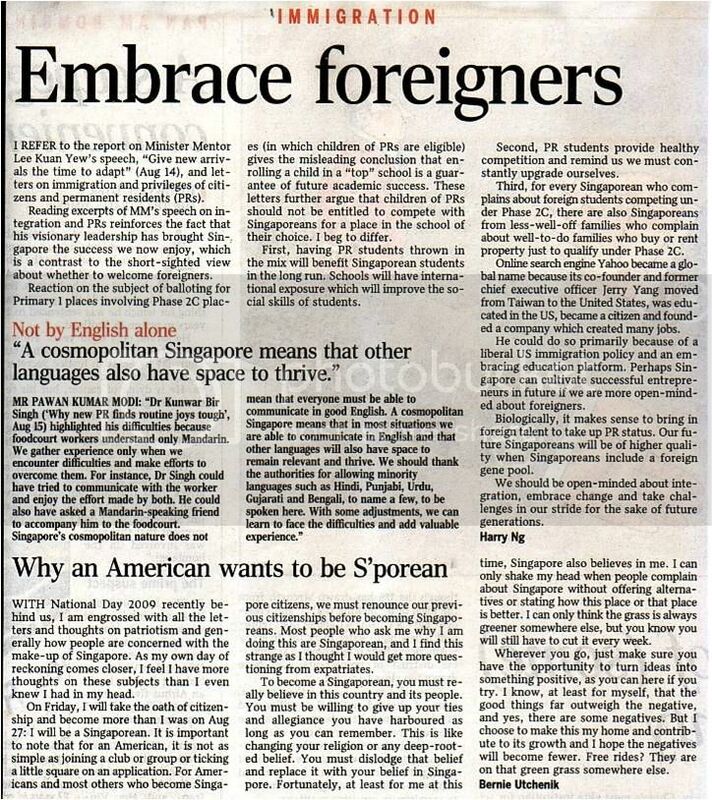 The local media has been exhorting (as it did decades ago with the “Stop At Two” campaign), in big bold headlines, for Singaporeans to be “grateful” for what we have, and to “embrace foreigners” , to be kind and “welcome” them and how we must understand that foreigners are “vital” to us! It is precisely… the very prospects of economic decline and the necessary pre-emptive measures to meet this alleged challenge, which compounds the discomfort among Singaporeans. For some, the FT policy underwrites a population surge on a very small island to a population figure Singaporeans have little clarity about…. a relationship based on transparency and openness with the public vis-à-vis the FT policy must represent the central pillar of the government’s efforts rather than one that sees the intermittent release of government data providing selective details on the FT policy, with no interest in revealing the guidelines that has and will shape that very policy. 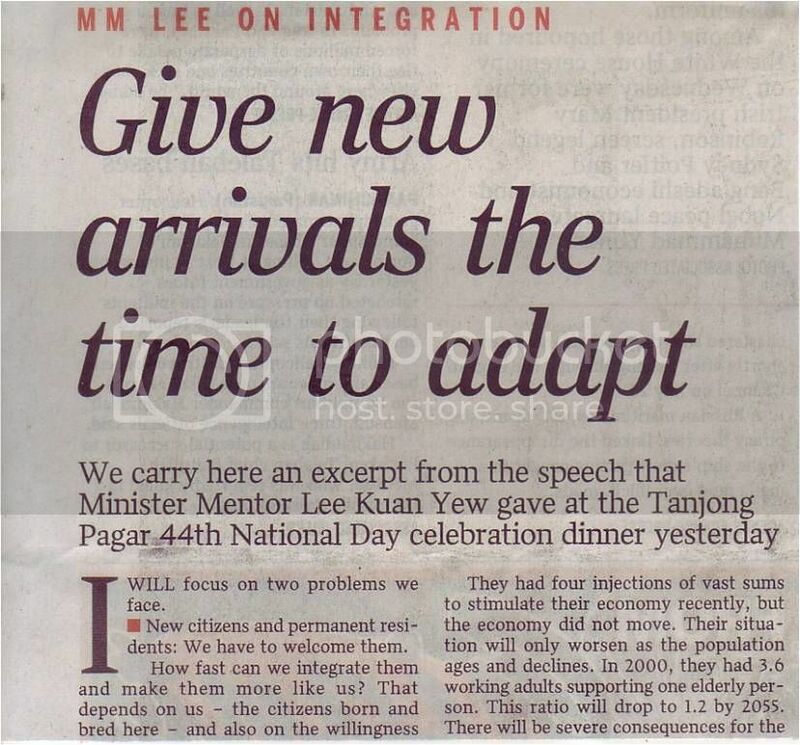 What we also want to know are answers to some questions posed by Leong Sze Hian in this article. What it feels right now is that the government, as it did in the 70s and 80s, is trying to jam an unclear policy down the throats of Singaporeans. It is also sadly unfortunate that an unthinking media is again lapping it all up, without so much as a squeak of a question about what the government is doing. Singaporeans are left helpless with regards to clarity on such a divisive policy. The danger here is that such blatant promotion of the policy, which Singaporeans are unclear about, by the media may give rise to even more anxiety and unhappiness than there already are.